Buoyed by the remarkable soul vocals of frontman Paul "St. Paul" Janeway, Young Sick Camellia is a record steeped in tradition that still defies easy categorization. St. Paul & The Broken Bones have often been pigeonholed as a retro-soul act. It's a fate that has befallen many of their contemporaries, each of whom have, in their own way, taken tropes from Motown and Stax and carried them into the era of viral dance challenges, social media stunts, and tabloid-grabbing bravado. These artists -- the Dip, Alabama Shakes, and Mayer Hawthorne, to name just a few examples -- have either embraced or distanced themselves from the "retro-soul" label, knowing that, for better or worse, it's career-defining. 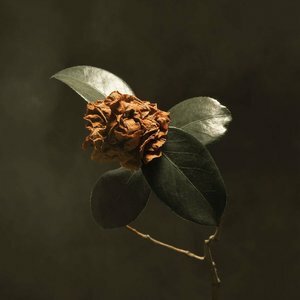 On Young Sick Camellia, their third full-length together, Paul "St. Paul" Janeway and his bandmates show just how misleading and deleterious this label can be. Brimming with old-school stylings and sweat-soaked funk backdrops that sound like the Famous Flames simply reassembled around a new frontman, these songs all stem from a singular ability to express oneself through a decades-old tradition. Simply calling this work "retro-soul" would be a careless critical maneuver that would miss how truly remarkable this ability is. Listen to "Apollo", Camellia's lead single, and you can hear this preternatural commitment to tradition in just two words. "Lookin' down from my orbit / Captain, can you get her to call me?" Janeway sings, his voice still the powerhouse wail that put his band on the map, that drew comparisons to blues legend Bobby Bland and that filled reviews of the group's live performances with rapturous adjectives like "electrifying", "breathtaking", and "transcendent". He throws these final words -- "call me" -- into a higher register, stretching them out until it seems like he's hesitant to release them into the open air. But then he does, and they echo out into the pitch-black space around him. It's impossible to hear these words as anything but an oblique reference to the band's breakthrough single "Call Me", a stunning showcase for Janeway's lungs that sounds like a forgotten '60s classic. And it's impossible to hear "Call Me" without hearing the song that inspired it: raw-soul shouter Wilson Pickett's "634-5789" from 1966's aptly-titled The Exciting Wilson Pickett. "All you have to do is pick up your telephone / And dial my number," Pickett sings, a nameless girl group rattling off this number behind him, turning it into an incantation, something far greater than just a set of digits that could be scrawled onto a piece of paper. In Janeway's words, you can also hear the title track from Al Green's 1973 masterpiece Call Me. More than this, you can hear the light of the late Aretha Franklin and the first chords of her own "Call Me", a song so rich and expansive in scope, so arresting in the way that it stages the agony of not being called, that it's highly unlikely that soul devotees like the Broken Bones would not have heard it. "Call me": it's an injunction that spans across the history of soul, and the image it conjures -- a lonely figure trembling by a phone in a dark room -- is emblematic of the genre as a whole. All of this history is in "Apollo", both in Janeway's lyrics and the way he sings them. It's the band's ability to tap into this history, to pay tribute to it without sounding merely like throwback artists, that makes Young Sick Camellia a notable record. "LivWithOutU" takes the most basic ingredients of soul -- piano pulses, horn flourishes, bass bounces -- and transmutes them into a high drama where lost love means the loss of life. "Can you feel it now? / On the underground / With that digital light," Janeway sings, the horn section shattering pane after pane of stained glass around him. Meanwhile, tracks like "Convex" and "GotItBad" are irresistibly groove-based. They're tactile; you can feel them in your bones. Young Sick Camellia is much more than just a work of historical fiction though. With the help of hip-hop producer Jack Splash, who has worked with modern-day trendsetters like Solange, Kendrick Lamar, and Diplo, the band avoids retreading the same ground they covered on 2014's Half the City and, their sophomore record, 2016's Sea of Noise. This is never more apparent than on the eclectic R&B of "Mr. Invisible". Replete with ambient effects and rhythmic tics that wouldn't sound out of place on a Gold Panda record, it immediately stands out as something new. However, as soon as Janeway opens his mouth, you're reminded where you are, and this is to the band's credit. While the ballads here ("Hurricanes" and "Bruised Fruit") offer little more than vocal histrionics, they're still immaculately crafted and performed. The fact that these missteps are still compelling is clear proof that Young Sick Camellia is by a band at the height of their powers. These powers may be lifted from a tradition that predates them by more than half a century, but that shouldn't be a reason to cast them aside as a mere novelty. It should be a reason to admire them more.